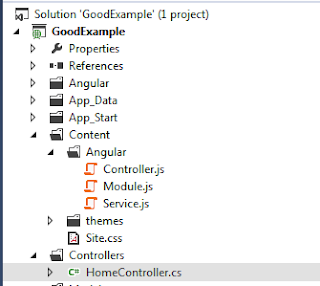 Angular js with ASP.NET MVC is more popular now days and for beginners, I will tell you what is angular js and show you a practical example of ASP.NET MVC for inserting, deleting and displaying data using angular js. As all of you have visual studio 2012 so that I am using visual studio 2012 with Asp.net MVC 4. 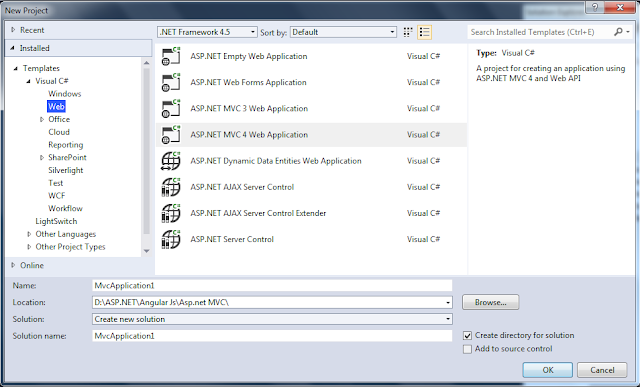 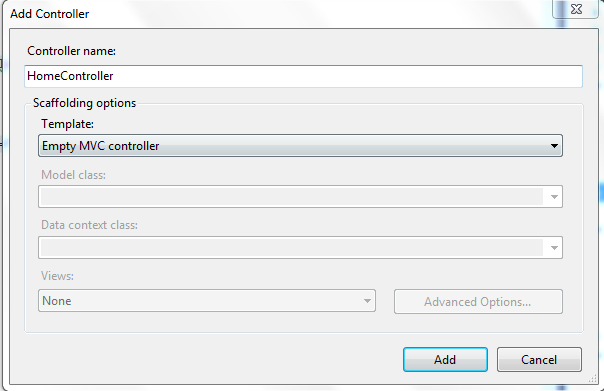 Ok, first of all, you have to create a new MVC project by selecting New Project in Visual Studio 2012... on the start screen, then drill down to Templates => Visual C# => Web => ASP.NET MVC 4 Web Application and can name it as you prefer. 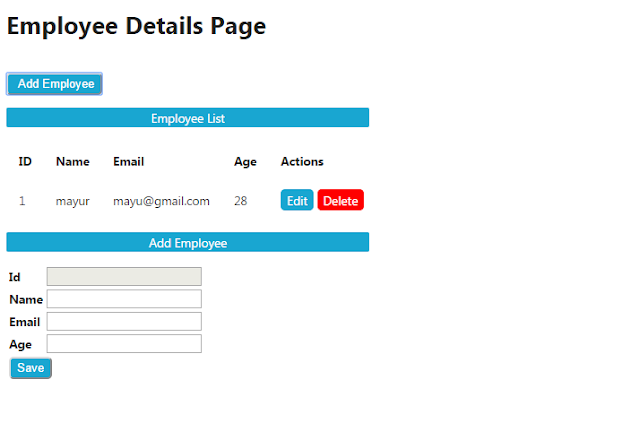 1. ng-Click : The ngClick directive allows you to specify custom behavior when an element is clicked. 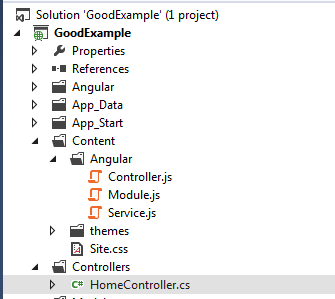 3. ng-Repeat : The ngRepeat directive instantiates a template once per item from a collection. 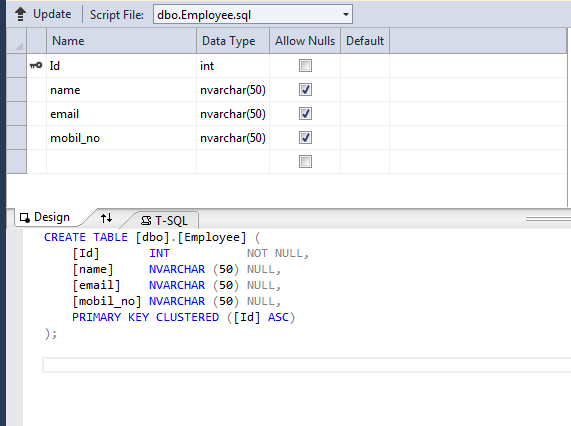 Each template instance gets its own scope, where the given loop variable is set to the current collection item, and $index is set to the item index or key. 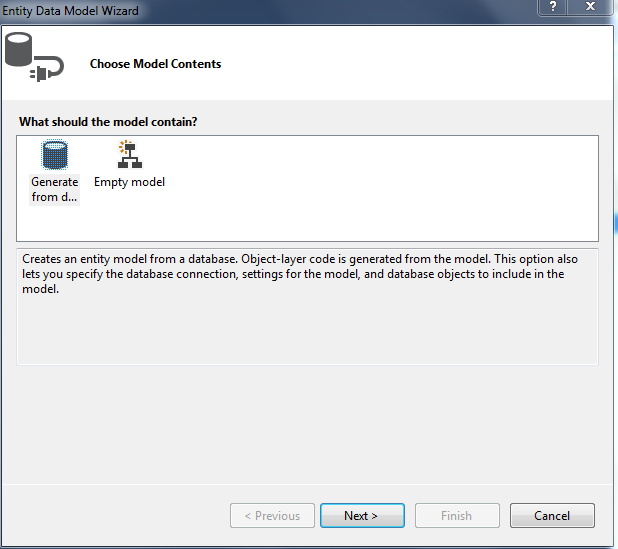 4. ng-model : ngModel is responsible for Binding the view into the model, which other directives such as input, textarea or select require.